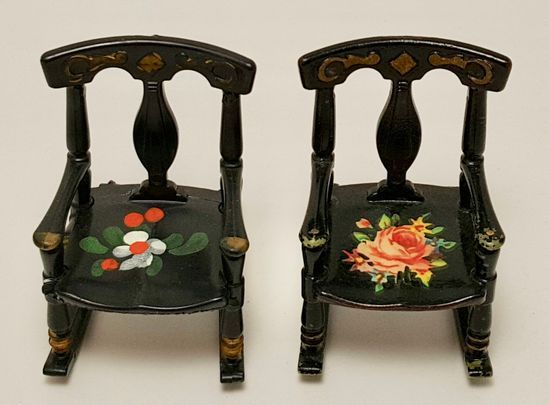 rose decal with gold painted accents, the one on the left has a hand painted floral design on the seat with gold accents. 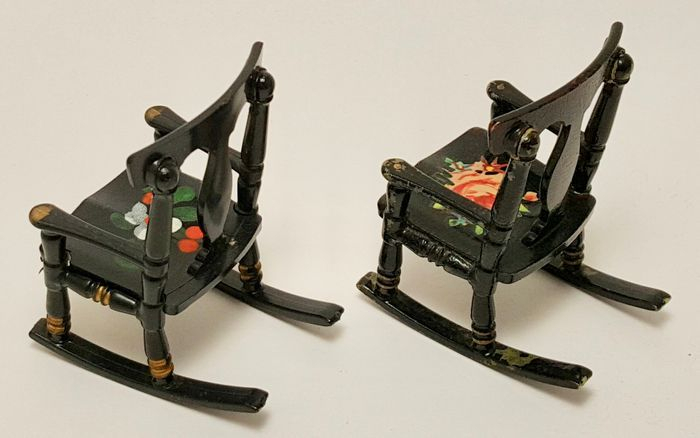 They are both in very good condition, the amount of gold accents varies a little from chair to chair. 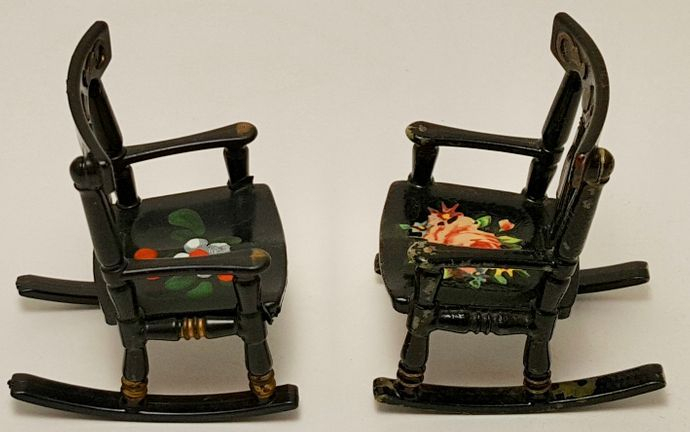 The chair on the right has a small amount of black paint loss on the back rockers. I think you can see it in one of the pictures.